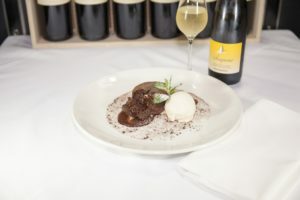 This small upmarket restaurant on King st (between Lonsdale and Little Bourke) not only boasts fantastic seasonal produce, allowing the menu to constantly evolve daily but also an extensively dynamic wine list to compliment any meal, hailing from various regions of Italy as well as carefully sourced local producers. SUD frequently caters to a corporate clientele as the quiet, warmly lit ambiance promotes a comfortable familiar atmosphere. 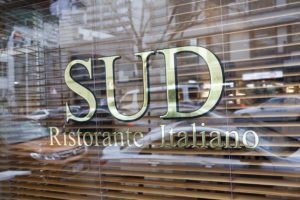 Sud provides a wonderful dining experience Monday to Friday lunch and dinner. Whether a la carte, degustation or a ten course banquet. Sud Food & Wine is driven by fine produce. With its roots in southern Italy (SUD Italia) we at Sud pride ourselves on freshness, quality & service. Available Monday to Friday – ideal for business meetings or private functions, SUD would be happy to cater for any occasion. 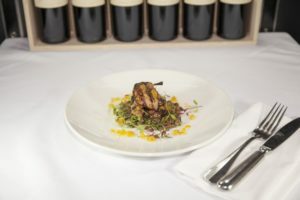 The wine list has an emphasis on food friendly wines from some interesting, boutique producers around the country and a solid collection of Italian wines and varietals for something a little different. The staff are also happy to suggest some of their favorites among the list to suit the particular dishes ordered.